The first day, we started with a morning hike to Martiel Glacier. 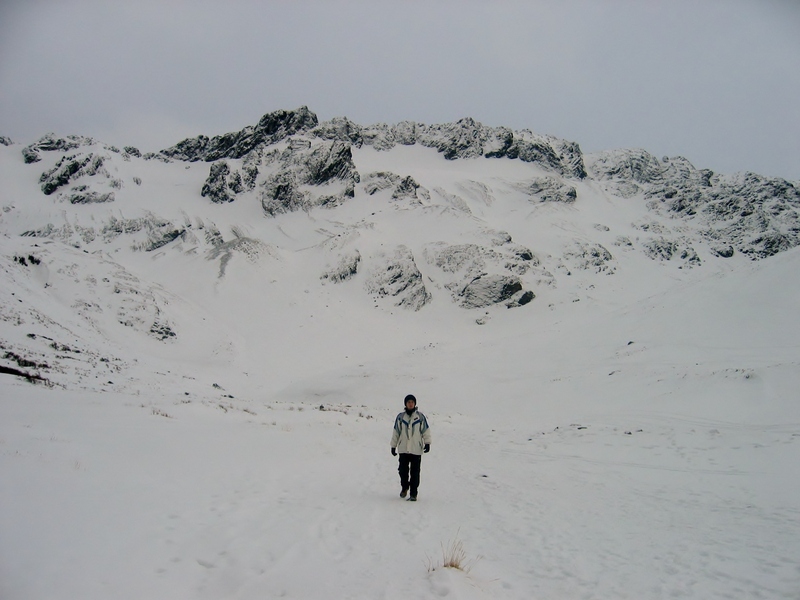 It was a short, nice trek, first on the road and then on the snow, with gorgeous peaks all around. 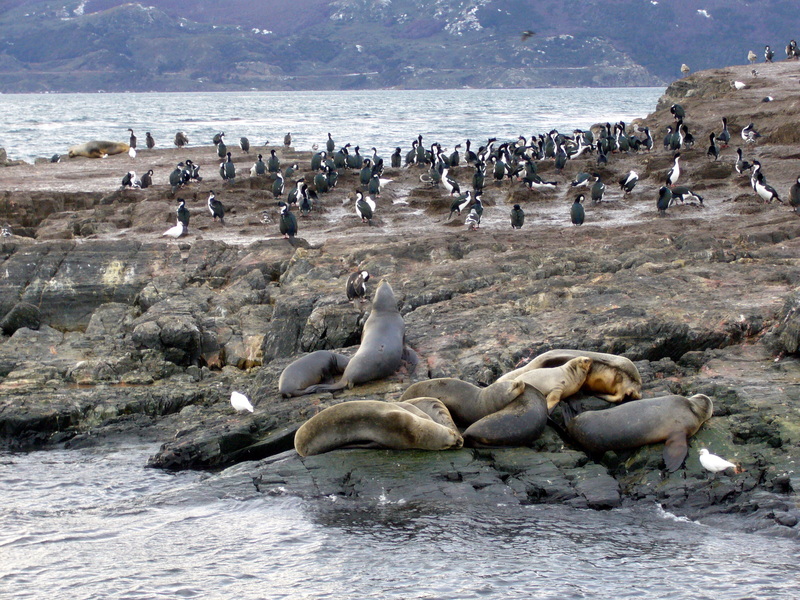 In the afternoon, we joined a boat tour of the Beagle Channel. We spotted tons of penguins and sea lions in the cliffs, and enjoyed some spectacular views as the sun came down. 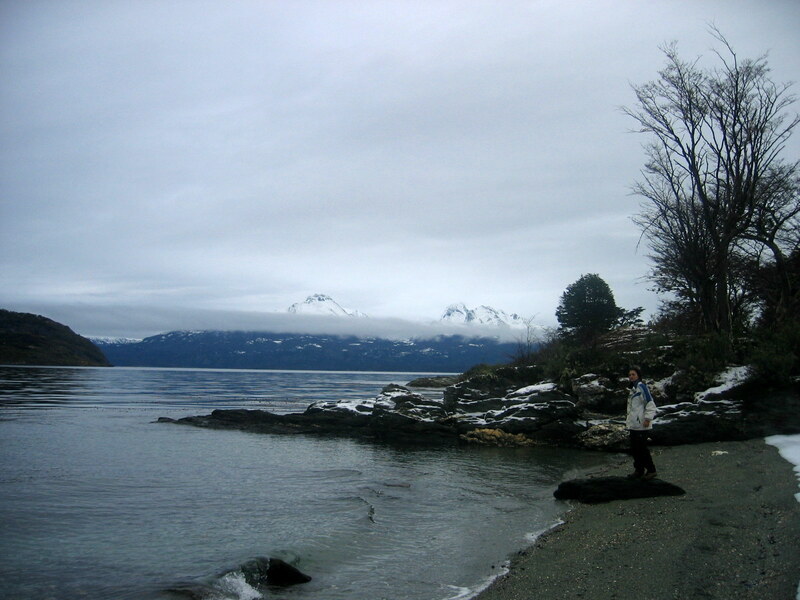 On our second day, we decided to take a long hike in Tierra del Fuego National Park. I guess this is quite common in the summer months, but it was deserted when we got there. Deserted and freezing. The idea was to take the seaside trail, which crosses the park from Bahia Ensenada to Bahia Lapataia, and be picked up there by the same “remisero” 4 hours after he dropped us off. 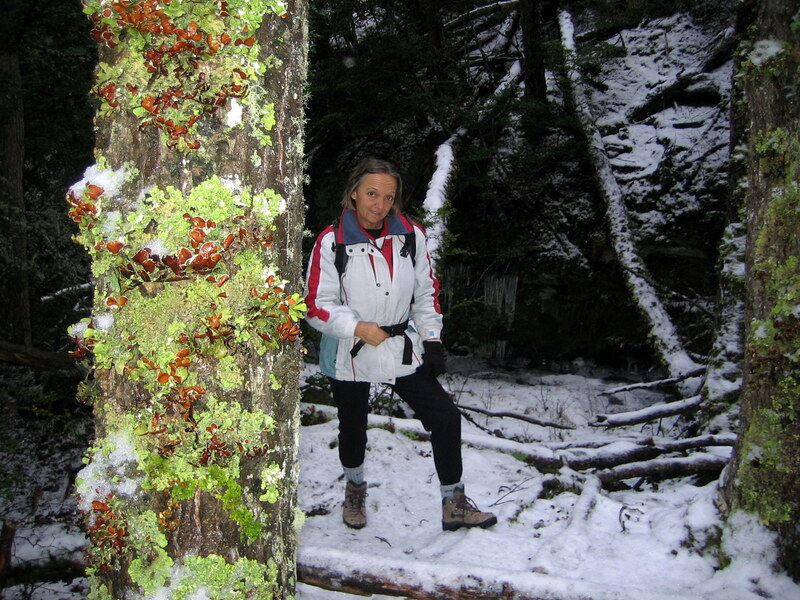 The hike was beautiful, with a unique combination of snow-covered forest, icy dark beaches and rugged mountains. But the trail was impossible to follow, I wouldn’t recommend it to the faint of heart. We pushed ourselves to continue walking, even when we were completely disoriented, to avoid hypothermia, and eventually found a way out. I was definitely relieved when we saw the parking lot and our car waiting, alone. 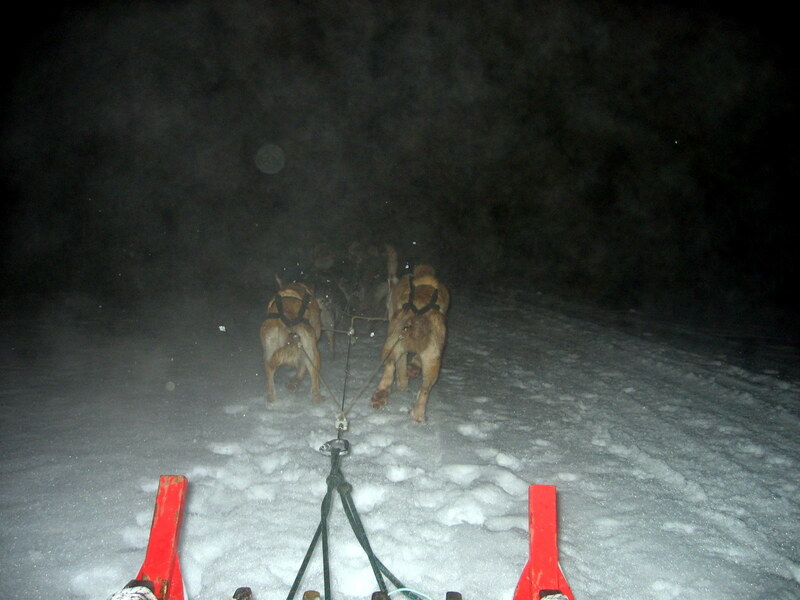 We were completely exhausted, but after devouring a ton of bread with “dulce de leche”, we decided to make the most of our last night in Ushuaia, and joined a dog mushing tour. It was touristy but lots of fun, especially when they let me drive the sled. From Ushuaia, we embarked in a long bus ride toward El Calafate. We crossed the Strait of Magellan, and the Chilean border several times, as the road follows the valley and doesn’t understand political decisions… we would have to get off the bus, take our baggage and go through passport control and customs. It was a long, painful ride. What route did you take to get to Ushuaia, and back? I’m thinking of going down there in a few weeks.